I thought we were getting more characters for a second there. At this point I&apos;d say save them for Mario Kart Switch. I don&apos;t think there&apos;ll be a Mario Kart 9 on Switch, there&apos;s never been more than one MK on each platform. What they could/might do is release Nintendo Kart on Switch. We&apos;ve seen the introduction of characters and courses from outside the Mushroom Kingdom in 8, maybe that was a small stepping stone to a new Nintendo racer. Honestly I hope they don&apos;t do that. Having guess characters is ok, but the name Mario Kart is too strong to be killed (Game Boy was as well, but they probably wanted to get rid of the Boy word). And I prefer the Mario tracks and characters in Mario Kart 8. I would prefer another F- Zero and ExciteBike/Trucks than to see them forever relegated to an extra in Mario Kart. 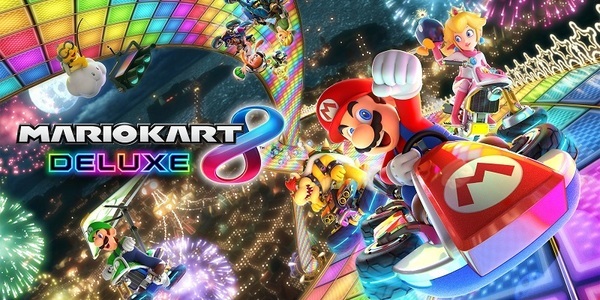 F-Zero and ExciteTrucks are all about speed and adrenaline, whereas Mario Kart is not, and a Nintendo Kart game would not fix that. Mario Kart 8 Deluxe will have a sequel on Switch. Just because it would be unprecedented, doesn&apos;t mean a sequel won&apos;t happen. That being said, you might be half right. I&apos;m thinking the next logical step would be a "Super Smash Kart" and Mario Kart 9 could wait until next gen if a crossover kart racer doesn&apos;t force the series into retirement. That&apos;s why I&apos;m saying we just wait for the next one. MK8 is about 5 years old and just seems outdated by now with everything the Switch can do. It&apos;s already had so much dlc and characters additions it wouldn&apos;t really make it much better with a few new characters. If you&apos;re willing to spend nickels and dimes on a few new things wouldn&apos;t it be great to spend a little more and get a full game.